QUESTION: What’s the best workout and diet for turning my fat into muscle? Also, if you stop working out, is it true that your muscle turns into fat? If so, how do you prevent that from happening? ANSWER: Alright, it seems we have ourselves a 3-part question. I’m going to try to answer each part separately, but I have a pretty strong feeling that my answer to the first part will also answer the second and third parts. What’s The Best Way To Turn Body Fat Into Muscle? Well, considering that it’s impossible to turn fat into muscle, I can only guess that some type of magic would need to be involved in the process. Because unfortunately, without that… you’re kinda screwed. Why? Because fat is fat and muscle is muscle. They are two completely different and completely separate types of tissue, neither of which is capable of somehow transforming into the other. Fat can only be lost or gained. Muscle can only be lost or gained. And… then… that’s… it. There are no other possibilities. Fat cannot become muscle, and muscle cannot become fat. Now, you can potentially lose some fat AND gain some muscle at which point it may SEEM like fat “turned into” muscle, but it didn’t. It’s just that one was lost and the other was gained. Nothing more, nothing less. So… how do you turn fat into muscle? That’s easy: you don’t. To make this happen, they (incorrectly) assume the obvious best way is to turn one into the other, thus achieving 2 goals with 1 physiological process. In terms of efficiency, they certainly have the right idea. In terms of realistic possibility, they have the wrong idea. It just can’t happen. The good news, however, is that the 2 goals themselves can most definitely be achieved, just not in some magical “Freaky Friday” one-becomes-the-other process. 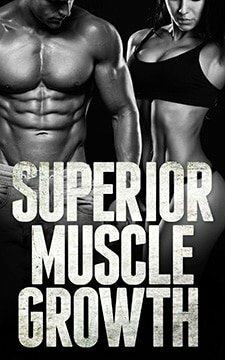 They need to happen in two separate processes; one that allows existing body fat to be lost (via a caloric deficit) and another that allows new muscle mass to be gained (via a caloric surplus, sufficient protein and an intelligent workout routine that provides a muscle building stimulus… all of which is covered in Superior Muscle Growth). Some people (namely beginners and people regaining lost muscle) will actually be capable of doing both simultaneously… at least to some degree for some amount of time. Everyone else who does not fit into that lucky category will instead need to focus on one goal at a time, alternating between periods of losing fat (without losing muscle) and building muscle (without gaining fat). This is something I cover in detail here: How To Bulk and Cut and Should I Build Muscle Or Lose Fat First? Does Muscle Turn Into Fat When You Stop Working Out? No. It Doesn’t. Because it can’t. What often DOES happen when you stop working out is that you simply lose muscle and gain fat. Because if you remove the training stimulus that tells your body it needs to keep its muscle mass around (which is what happens when you stop lifting), you will gradually begin to lose that muscle mass. In addition, you end up burning less calories when you stop working out, thus increasing the likelihood of fat being gained. Not to mention, people who stop working out also tend to drop whatever good eating habits they may have developed… thus causing them to overeat… thus causing them to gain body fat for the same reason anyone ever gains body fat… they’re eating too many calories. But again, muscle never actually becomes fat. It’s still just two completely separate processes giving the incorrect impression that it did. Even though it didn’t. How do you prevent this from happening, you ask? Well, the only way to prevent muscle from being lost when you stop working out is to… um… not stop working out. I mean, there are certainly ways to minimize muscle loss in a short-term scenario (How To Maintain Muscle When You’re Injured), but if it exceeds a short-term period of time (i.e. a month or longer), there is no way to prevent muscle from being lost. Preventing body fat from being gained when you stop working out is something that CAN be done by simply ensuring your calorie intake never goes above your maintenance level. Easier said than done for many people, of course. So, yeah. Muscle cannot turn into fat, or vice versa. Tell your friends. Indeed, I have the best SFL update of all: it’s done. Now it’s just a matter of editing, proof reading, doing some design stuff for it, setting up the sales page/shopping cart crap, and co-writing the (much shorter) companion book that’s coming along with it. Stay tuned! 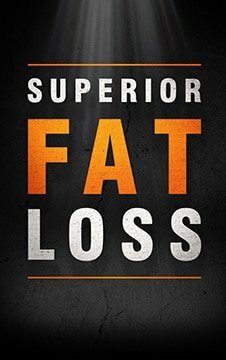 Will the companion book by any chance contain workout routines suitable for fat loss? The main book will cover all of the workout stuff (weight training, cardio, etc.). The companion book will cover something completely separate but equally important. Possibly even more important. I’m not sure how much of that you control and how much is just the website but having purchased the book (and having just generally followed your advise provided on AWR), I know its not only legit but that the quality is worlds away from the money grabbing scandals that are the other dodgy looking ones, so just as some feedback, maybe just go for a cleaner “if you’ve liked what you’ve read from me so far then here’s a whole book’s worth more of it” sort of thing? Not sure exactly but this is just the impression I got anyway. Thanks for another well-informed read. Oh, trust me, chances are that I hate these types of sales pages more than you do. And the only thing I hate more than seeing/reading them is writing them for my own products. Seriously. It makes me nauseous. But, for some crazy reason, the average person needs a sales page like that to buy a product like this. I don’t know why, but they do… which is why they are so commonly used for these types of products. I know I certainly don’t need it. And you certainly don’t need it. And most (if not all) of my regular readers don’t need it either. But the average person who Googles something and ends up on an article of mine for the first time… they usually do. I saw this article on as a notification on my phone waking up in the morning, and I burst out laughing knowing what it would be about. This article gave me a nice entertaining read during my lunch hour. “So, yeah. Muscle cannot turn into fat, or vice versa. Tell your friends.” Thanks Jay! You’re welcome. 😉 Glad you liked it! Man or Woman, I do not know. You are the best. I am always reading and researching to help other people and your articles are on the spot. You explain complex things in layman’s term. Thank you. I just know what you are going to write about when I read the subject, haha. Good one. Now, waiting for your next book. Any special to those that have purchased your Superior Muscle Growth? Thanks dude. As of right now I’m not planning on any kind of special/discount like that for SFL. Don’t worry though, it’ll still be worth every cent of the full price… I promise. Thank you for the article. I am a big fan of your writing. I had one question regarding this particular piece. Apologies in advance for anything silly I may be about to type. It is my understanding that body does begin to catabolize muscle after a certain period of inactivity. When it is catabolized, muscle is converted into energy, no? Ceteris paribus, wouldn’t this mean that catabolizing muscle lowers your threshold for entering a caloric surplus? If so, this would imply that someone who has built up a large amount of muscle and suddenly stops working out would need to drop their calorie consumption even below what would normally be needed for maintenance, to avoid gaining fat. Is there any merit to what I am suggesting? Thank you in advance for clarifying. Are you asking if someone built X pounds of muscle over the span of a few years… then stopped working out for a long enough period of time to lose all of that muscle… would their maintenance level be lower afterwards than it was when they had that muscle? If so, the answer is yes. You can also replace muscle with fat in this scenario and the answer would still be yes. The more muscle or fat mass a person has on their body, the higher their maintenance level will be. As any of that mass is lost, their maintenance level gradually decreases. Haha ok. So what are some realistic numbers for the avg lifter while trying to stay in the lower digit fat levels? I’ve noticed I gain a ton of strength on a bulk but whenever I try to cut, strength drops dramatically. 2) if I cut by one pound-per-week, I still end up considerably weaker when I achieve my 157-lb target bodyweight. 3) if I try to maintain the same volume per workouts/training week during a cut, I lose more strength and lose it faster. I suspect that genetics plays a huge role in how much strength a person loses on a cut, since chronically reduced calories affect energy levels and probably even neural efficiency, among other variables; meaning that, how much strength is lost varies considerably among individuals. PS…meant to add actual numbers of what my genetics yield. I am about 11% BF at 157 lbs bodyweight, so I’m a relatively light guy. For several years, I’ve cut to 157 then maintain that 157 lbs from Jan 1 to Sept 30 of each year. From Oct 1 through Dec 31, I intentionally add then carry more bodyweight, limiting (the past three or four years now) at 166 lbs. maximum. During that bodyweight increase, all my workout poundages increase. When I reduce from the heavier bodyweight to my 157 lbs, which is about a 5% bodyweight drop, I’ve found that I lose between 9% and 10% of my strength. Hello there! I’m a beginner who stopped lifting for 6 months (Study purposes),with a short term goal of losing fat and can’t wait to get back to the gym. I am glad I found out about your articles as they seem completely unbiased and provide quality information! Therefore I would like to thank you for what you do! I keep track of many of your articles and plan to use them when the time is right for me. As for your question, there are many answers. I’ve read a seemingly infinite amount of studies, books, and articles (and continue to do so on a daily basis), I’ve had discussions with lots of very smart people, and I have 15+ years of real-world experience.